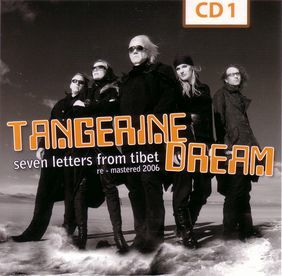 TD's album The Seven Letters From Tibet was announced by TDI being "probably one of the most 'private' CD productions in the long history of Tangerine Dream. Recorded outside of their regular film and studio album work, this album reveals one of the more intimate sides of the band: a very inspired composition in seven parts that does not contain a single drumbeat or sequencer rhythm. Anyone seeking something out of the ordinary in music will be impressed by the relaxed power of this CD. Emotional coolness at its best." 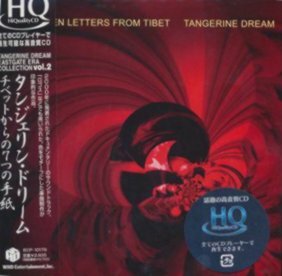 In fact, this album was mentioned for the first time back in 1998 in the booklet of the then re-released CD Quinoa as 'Tibetan Cycle', and Quinoa featured an excerpt of The Blue Pearl, titled Lhasa. On later re-releases, the booklet states the album being "a deeply felt farewell soundtrack for the passing of Monika Froese". Though not musically involved in Tangerine Dream's work, Edgar Froese's wife (a.k.a. Monique or Monica) and mother of Jerome Froese deserves credit in designing some of the most memorable cover artwork of TD albums from the seventies and the eighties, including Rubycon, Force Majeure, Tangram, Exit, Hyperborea, Le Parc and Tyger, just to name a few. According to information from TDI the inner sleeve titles are wrong due to an error on the first pressing. These titles were actually old working titles for the tracks, and an older version of the inner sleeve was used by accident. This has been corrected for the second pressing. In the booklet TD stated: "This recording is not supporting any kind of political party or idea. It is also not the composers' intention to support or criticise any kind of dialectical spiritual movement." Furthermore the booklet contains a rather esoteric essay saying: "There is a higher, unknown more absolute field of manifestation. It is impossible to enter this field as lung-breathing beings. If our state of nature is fundamentally violated, we cannot maintain ourselves. It is the same in the multitude of spaces in the all-revelation. It is utterly impossible to transfer a creature from its own natural space into another space which is not in agreement with its nature. One revelation is not compatible with another. The universal doctrine says that the original substance, both in this world and in the one above it, is sevenfold and that every situation and principle is divided by degrees into seven graduations of density and of nature. And so it goes on, until there is a, for us, unknown number of spaces within the original seven which in turn are to be considered as a unity. This unity, seen as a whole, reveals the entire universe. 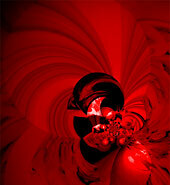 So there is not a single atom of empty space." The official street day of the CD release was announced for September 2000, though some copies were available by June 2000. 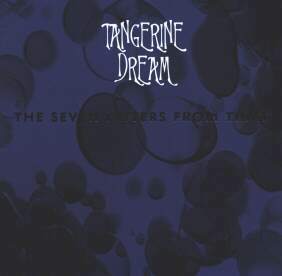 In January 2007 this release became available as MP3 download at the Tangerine Dream Download Shop. On this download re-release the only one of the original tracks that was composed by Jerome Froese, The Golden Heart, has been replaced by a new, previously unreleased composition by Edgar Froese, titled The Golden Head. 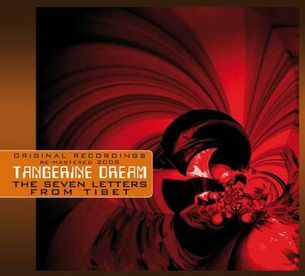 The front cover artwork of the 2007 re-release is based on a Zoom-O-Graphic by Edgar Froese, titled Atom of the Heart. In March 2009 the album was re-released on CD with different cover design as part of an extensive digipack series (consisting of a total of more than 60 CD and DVD releases) by the Germany based Membran record label, and in June 2009 it was re-released in Japan as part of a series of HiQualityCDs with mini LP paper sleeves. The track listings of both releases claim to be the same as the download release, but this is true only for the Japanese release, while by some mistake the German release still contains the same tracks as the original album. Being just a repackaged release of the Membran CD, the same applies to the re-release of the album as part of the box set The Electronic Journey (2010); the track listing shows the third track as The Golden Head, but with the (correct) running time of The Golden Heart. 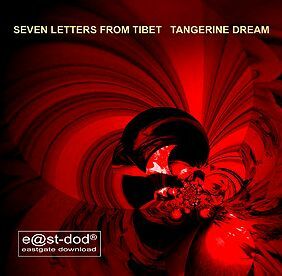 The Seven Letters From Tibet was also released as part of the set The Electronic Journey.